Kiwi Wealth should know within six months whether its live KiwiSaver social experiment is a success, according to Joe Bishop, head of retail for the group. Bishop said if the Kiwi Wealth KiwiSaver member engagement tweaks go to plan the whole industry could benefit from the findings. “If we can find a way to help guide default members to make an active choice that would be an outcome the whole industry would like to see,” he said. The Kiwi Wealth randomised trial, based on behavioural finance principles, will source data from about 3,000 new default members over the next six months. 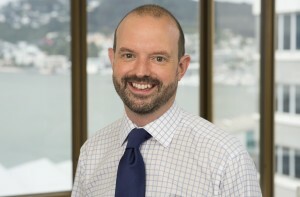 During the test period half of the Kiwi Wealth default members would be sent the scheme’s standard ‘welcome letter’ with the remainder receiving a new document designed to “nudge” them into action, Bishop said. For example, Bishop said the rejigged Kiwi Wealth letter plays on the general human disposition to conform to social norms. He said including statements such as ‘nine out of 10 KiwiSaver members have chosen how to invest their money’ in that first communication could trigger a response. At the very least Bishop said framing the decision in this way could prompt default members to ask ‘if I don’t do what most other people do, am I comfortable with that?’. According to the latest IRD statistics, of the approximately 1.07 million auto-enrolled KiwiSaver members just over 236,000 opted-out immediately leaving about 800,000 who entered the regime via default schemes. The IRD figures show more than 567,000 members remain in default schemes, indicating about 30 per cent have since made an active choice. Kiwi Wealth is collaborating with the Financial Markets Authority (FMA), the Commission for Financial Capability, and the Ministry for Business Innovation and Employment on the trial. Bishop said the Kiwi Wealth project in particular was based on research summarised in an FMA white paper this July. Easy – simple language and reducing the perceived hassle with changing funds. Attractive – framing communications so that its interesting with a strong call to action to change funds. Social – showing that others are changing funds and improving their retirement income. Timely – prompt action when people are likely to be most receptive (when they first enrol).